Have you ever wished that you could have a helmet communication system without having to deal with wires, speakers, and a microphone? 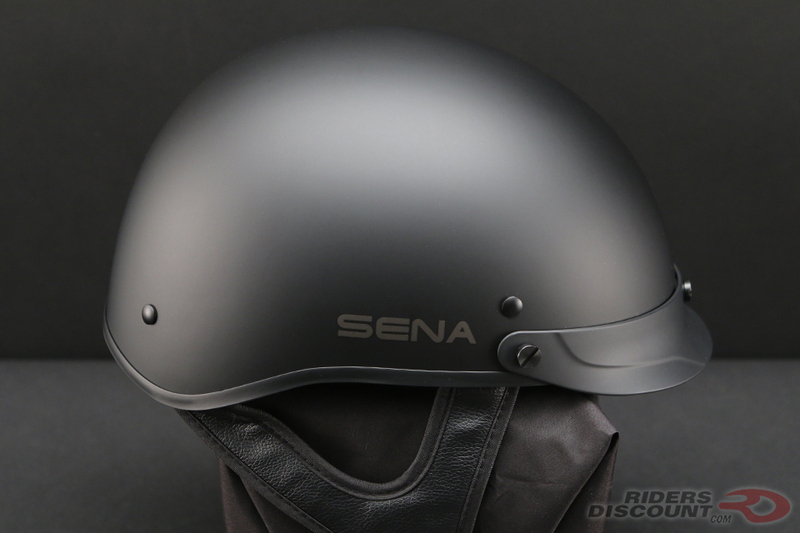 Sena has created just that with the Sena Cavalry Bluetooth Half Helmet. 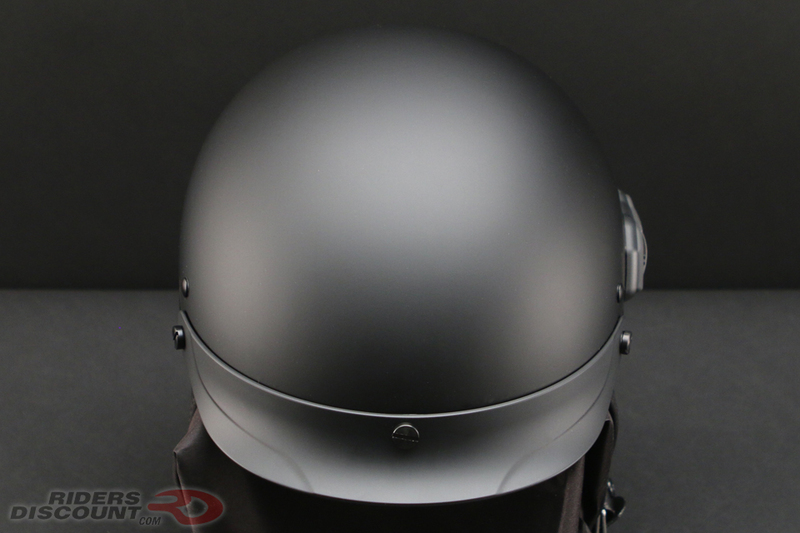 The Cavalry is a premium half helmet that has a fully integrated communication system straight out of the box. 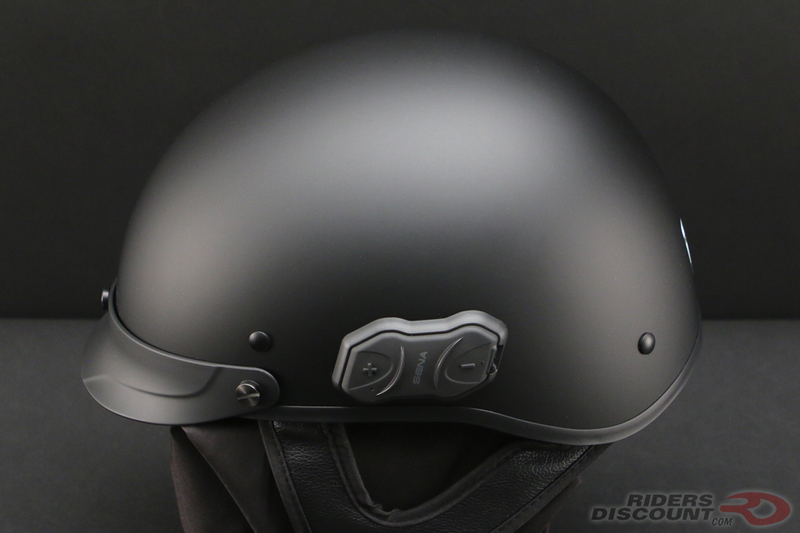 This helmet features a fiberglass composite shell construction. The aerodynamic visor is removable. Communicate with up to four companions within 900 meters (0.5 miles) away thanks to the Cavalry’s Bluetooth 4.1 capability. Don’t worry if they aren’t using Sena Communication Gear; the Universal Intercom technology allows you to communicate with other devices that also have Bluetooth ability. Listen to music from your phone or use the built-in FM radio. 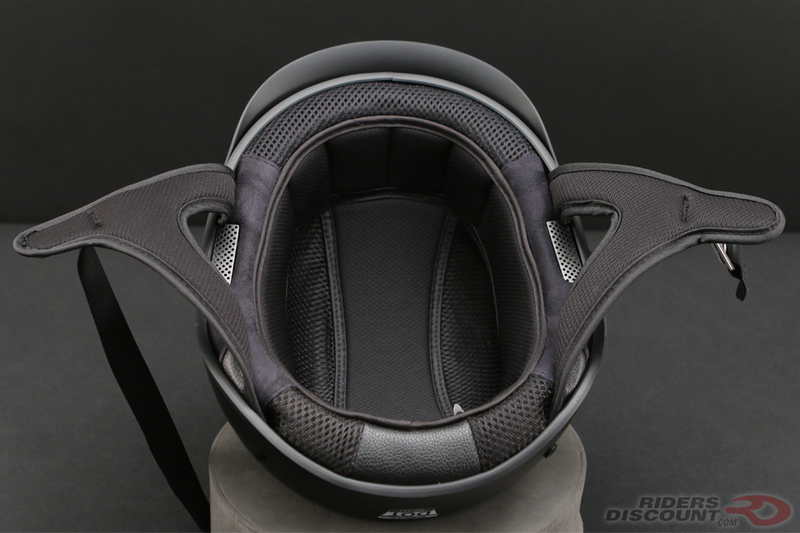 The microphone and high quality speakers are seamlessly built into this helmet, meaning no fuss with wires. Advanced Noise Control™, Wind Noise Reduction, built-in SBC Codec and Wide Volume Control all work together to deliver the best sound. You can link your Cavalry Helmet with the Sena Headset App to configure device settings and create FM radio/speed dial presets. 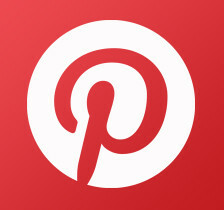 The app also gives you access to an interactive quick start guide. The liner in this helmet is removable and washable. 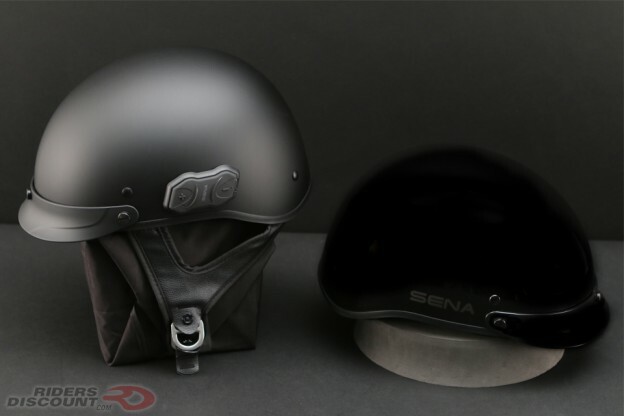 Included with the Sena Cavalry Bluetooth Half Helmet: ear pads, ear plates, USB power and data cable, and helmet pouch. This helmet is D.O.T. certified. 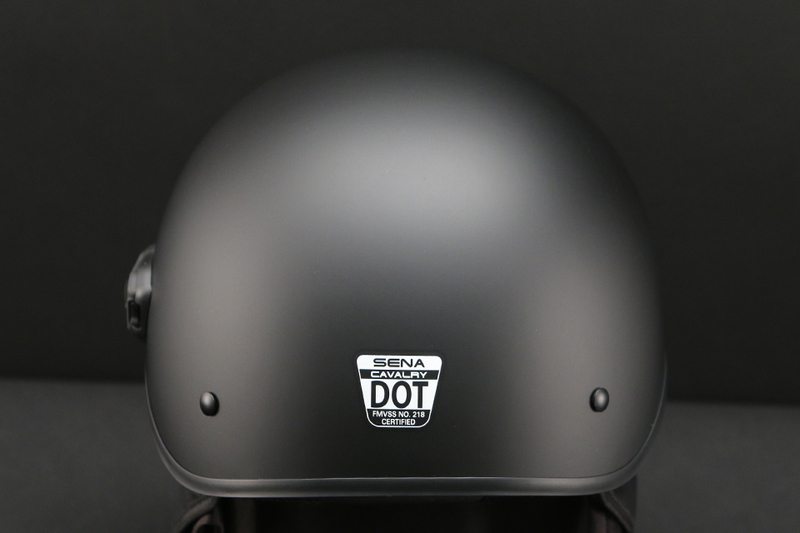 This entry was posted in News, Product Reviews and tagged Bluetooth 4.1, Bluetooth Helmet, Bluetooth Technology, Motorcycle, Motorcycle Communication, motorcycle gear, Riders Discount, Sena, Sena Cavalry Bluetooth Half Helmet, Sena Cavalry Half Helmet, Sena Cavalry Helmet, Sena Helmet on April 17, 2017 by Riders Discount.